Mad Giant was born from the desire to conquer the world and to take chances with no fear of the outcome. 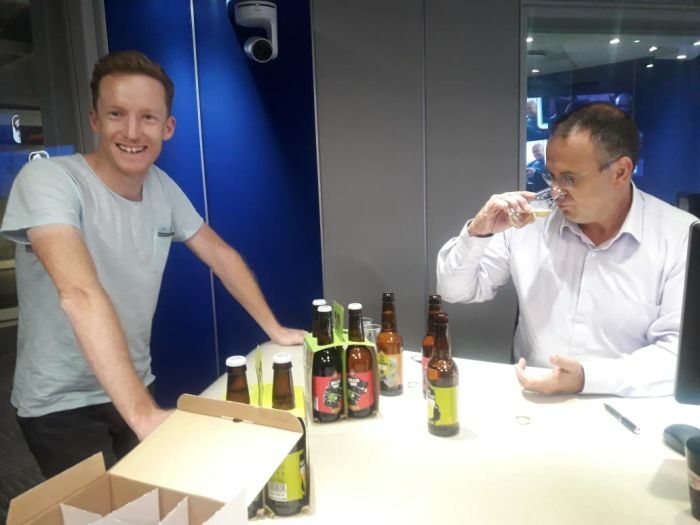 Eben Uys first started brewing while studying Chemical Engineering. He built a 50-litre brewery for his university, and I fell head over heels in love. Uys cofounded craft beer brewer Mad Giant – “where mad science meets a massive love of beer” - in 2014. Armed with a makeshift business plan and just enough capital to spend on branding and some trial brews, he quit his job and went for it. Rise above. Focus on what you believe in. Use your inner eye to muster the courage to do what you need to do, what you believe needs to be done, and nothing else. That thing that will make you smile at the end of the day. So that people will cheer you on, as you cheer them on, and laugh together as you grow into the giants you will become. The Money Show’s Bruce Whitfield interviewed Uys for his weekly “ShapeShifter” feature. Mad Giant is about the little guy crazy enough to pursue this dream. We entered the African Beer awards… we’re happy to have won it! There are so many steps! And it’s so easy to screw it up. You can save the world by having more happy people! Bruce Whitfield interviews Mokoena, single mother of Refiloe, the inspiration behind her businesses, including "Eleven28 Gin". Bruce Whitfield interviews John Oliphant, former Principal Executive Officer at the Government Employees Pension Fund. The Money Show’s Bruce Whitfield interviews Pillai for his weekly (on a Wednesday) “ShapeShifter” feature. You may not have heard of Hedy Lamarr, but you owe this 1940s Hollywood star a great deal. The Money Show’s Bruce Whitfield interviews Rain CEO Willem Roos for his weekly “ShapeShifter” feature. “Why try and make retirement more palatable? Why not just abolish it completely?” says headhunter Johann Redelinghuys.